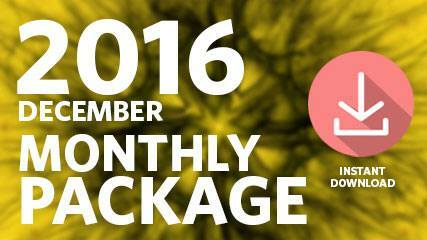 This package includes audio and video from the three sessions of December 2016. In this meeting, Eloheim discussed the powerful energetics happening, the recent visit of the Voice, and the real possibility of more visits. The visitors come and open up new vistas and energies for us said Eloheim. The energy of 2017 is about detaching from duality while knowing duality is still part of the Field of Infinite Possibilities. Level 7-8-9 is vastly, vastly, vastly different than Levels 1- 6. It’s going to look different, feel different, be different, it’s going to be something other than how you have lived in this lifetime or any other one. What we see going on is the habit to imagine that Level 7-8-9 is just a bit bigger or a bit different than Level 6, and you cannot treat it the same way. Level 7-8-9 is a completely different perspective. Wonder which level you are on? Eloheim offered us a new tool to illuminate the difference. Level 6 is the pinnacle of Homo sapiens, and because It’s a level using no triggers to deal with experiences, a level with not much thinking going on and not driven by the survival instinct, it can feel like Level 7-8-9. What we see happening is you oscillate between Level 6 and Level 7. We call it the blur. You don’t know which level you are in. But they are driven by completely different parts of you. Either Personality is forward facing or Awareness is forward as you are engaging with an experience. Awareness forward living is clarity fueled, using exploration and expansion and fascination. Personality is survival forward, aimed at keeping everything the same and limited. Which part of you is forward, engaging with the non-triggered experience? Don’t settle for duality. Exposure to infinite possibilities is now yours with Awareness forward living. The group then joined the discussion to ask questions and share thoughts. 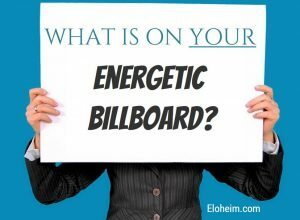 Eloheim further explained how to know if you’re Personality or Awareness forward and the challenge of changing lifetimes of Personality forward living. Eloheim shared that Awareness forward focus is from YOUR awareness, YOUR soul, YOUR infinite and immortal nature, and NOT via a deity or an authority figure. Your perspective radically shifts in this level. This has never been done before without a connection to a deity or a religious path. Level 7 is a new game. And Eloheim reminded us that everyone does it in their own unique way. “Unusual Things Is” is the name of the game. The Voice’s appearance had an effect on everyone and especially Veronica. Eloheim talked about that and then delved deeper into the idea of Homo spiritus living. Living Personality-forward is Homo sapiens, and living Awareness-forward is Homo spiritus. Homo sapiens is Level 1-6 and Personality forward. Homo spiritus is Level 7-9 and Awareness forward. The idea that we have been living Personality forward has been a big breakthrough. Keep in mind that everyone is doing Homo spiritus differently. It’s always been there and now it’s being seen and experienced. The hallmarks of living Personality forward are: you’re not in the moment, being in the past or the future, on the 50th step, using the hamster wheel mind, and dragging baggage and static around. Basically, it’s all favorite familiar suffering, survival instinct, and based in your mind. Primarily, all you have done is cope in Levels 1-6. 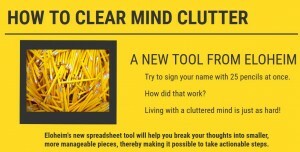 The tools help but the mind comes back. Turn the dial to Awareness forward and all things change. You’re connected to the now, to what-is, and can’t be triggered. It becomes it IS, it’s all me, and it’s all I care about. The Voice said everything else has to be set aside, and all the other stuff needs to not be where you put your attention. It’s just not interesting anymore. Turn the dial to Awareness forward until you don’t have to turn it, it just automatically stays there. You live insight to insight. Insight is all there is because favorite familiar suffering is not interesting. How do you do Awareness-forward living? What is it like when you do? You have to be willing for it to be different. Level 7 can feel similar to Level 6, a bit of it can feel the same so you oscillate back and forth between Level 6 and Level 7, you have a foot in each of them and you may not know when you’re in Level 7. However, you can’t be triggered and be in Level 7, Awareness doesn’t know how to be triggered. Triggered is afraid. In Level 1-6, yelling works, you’re fixing, telling stories, in outcome and judging. In Level 7-9, you’re witnessing and asking how can I help? There are no assumptions. Now is all that matters. You are infused by the field of infinite possibilities (FIP). 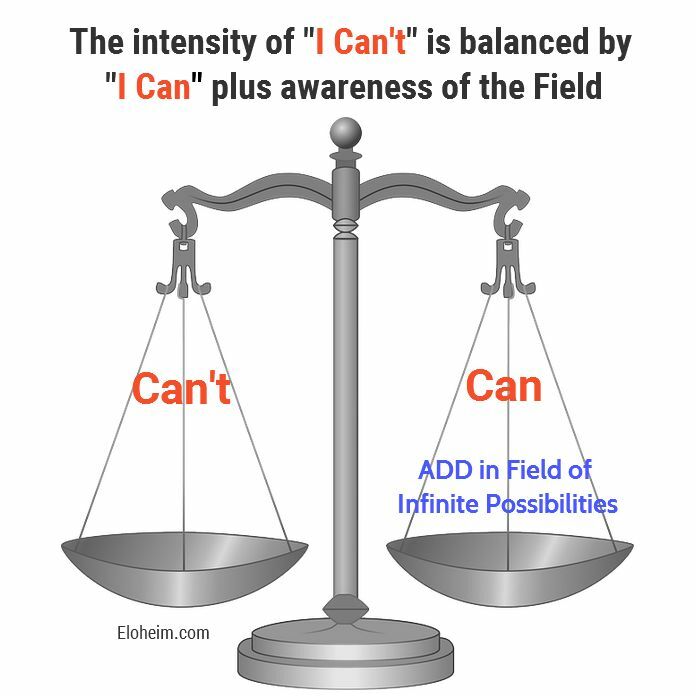 Eloheim went on to talk about the balance scale: on one side is “I can’t” and on the other side is “I can + the FIP.” When you’re in “I can’t,” it’s a very strong, heavy sensation. The other side is “I can” with the FIP added to it. The external world is not dictating your experience, the internal experience is primary. Awareness-forward has no preference, it’s the exploration. Life unfolds. So, witness, acknowledge, don’t try to make it go away, it’s not wrong. What is, IS, be present as you explore. What has arisen is there for a reason. -Am I fixing or am I witnessing? 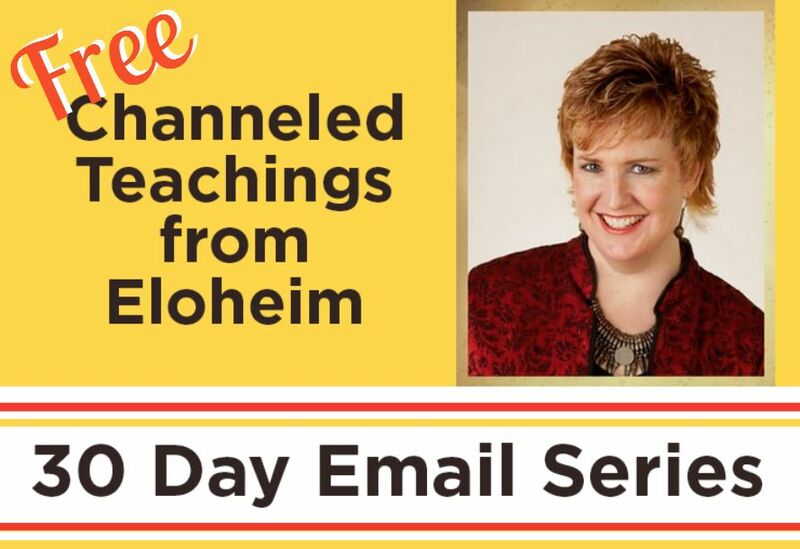 Eloheim suggested using these phrases when witnessing, “Thank you for sharing, that sounds really hard, how can I support you?” Veronica has fired reassurance, it takes me out of the now, witness me, companion me, she has said to Eloheim. Ask, when witnessing, how did it change you? What do you want to do differently? -I experienced an alternate state on a trip to the store. Eloheim replied that that state is always present but that you are distracted from it. Level 7 will be a mental thing until you get it experientially, there’s a striking difference between Levels 6&7. You are not the same. You have to let it feel different. Your brain will not be used in the same way. Personality’s job is witnessing and chronicling, and Awareness is the funnel for insight infused by the Field of Infinite Possibilities. An Awareness kind of notion is the tool “Everyone is just fixing their fears.” It’s a way to explore the now that you’re sharing with another. -How do I handle an old, unpaid loan situation and stay in Level 7? Eloheim discussed the 3rd way, as in finding a way to come to a good resolution that may not completely please either party. See what are the options that work for both without the focus being on the money and not going in to the meeting feeling like a victim. It’s tricky and trigger-y. Eloheim then continued the Awareness-forward teachings. Ask yourself, they said, am I present? What am I thinking about? Unusual things become your constant companion, let yourself notice the unusual. Make room. Everything has been set aside so Awareness can drive the vehicle with Personality now in the backseat as the witness and chronicler. How do you live Awareness forward? Don’t fix, be a witness, if someone’s complaining, say that sounds difficult, thank you for sharing with me, how can I support you, and if necessary, go to the bathroom, because you always have that one. Don’t try to make it go away. So go forth, dwell in the unknown, embrace the now, be energetic leaders by not trying to fix it but witness it, and allow yourself the freedom from familiar suffering and the distraction from Homo spiritus that you have always been but have covered up. Q: What part of the BPA trinity keeps the gingerbread shape? This question prompted a conversation about protons and the Homo spiritus state that Eloheim had already decided to have. A. Protons are not being directed by your will. Protons are directed by clarity, and clarity lives in Homo spiritus. Clarity focuses and affects your emanation powerfully. It’s like a lit match cupped in your hand, it’s not diffused, it’s focused. When you stay in Homo spiritus long enough, your clarity becomes emanationally impactful on your protons-minus an attempt to control it using your mind. Watch it move. This will become a natural extension of you that you are learning to navigate and not simply a parlor trick like moving a Kleenex box with your mind. When you are in Homo spiritus, of course you will have an impact on your physical form. Eloheim cautioned us not imagine other nows, doing that keeps you out of Homo spiritus. The shape of your physical form is the shape of your Kleenex box holding still. All this goes back to the tenacity teachings. Q: I’ve been ill for weeks now. What does this mean and how can I support my body best? A. You’re choosing between Homo spiritus and Homo sapiens and your body is going through this detoxing and cleansing process. The body gets it last. Get medicine, get some sleep, get support if you need it. We suspect you are doing what you need to do to support your body in this profound process. The protons discussion continued: you are affecting protons and vice versa. The most profound way you affect protons is habit. Society has a lot of tenacious habits. It’s very easy for things to stay the way they’ve been. To shift that message that has been entrenched in society is super hero stuff. Like stars hidden by the clouds, Homo spiritus has always been there. It’s been covered up by habits and favorite familiar suffering. If you find your mind pondering things that aren’t attached to this now, really decide if that’s where you want your emphasis to be. You know you can let go of favorite familiar suffering. It is time to say “That thought does not serve me in my evolution and I will not engage with it again.” It doesn’t help. Eloheim invited the group to talk about their experiences since the Voice’s appearance or anything else they wanted to talk about. A group member requested help with one thing they have been spinning about for a few days. This led to a discussion about the source of the feelings and recognizing which level they are on. Which place are you operating out of, Eloheim asked, Homo sapiens or Homo spiritus? Embrace letting yourself live Awareness forward. Spend more time in Homo spiritus. Set aside the thinking mind. We’re kind of at a point in a queue, a narrowing of the opening before you enter fully into Homo spiritus. There are things that need to be released or integrated and you have everything you need at this point. Don’t let that call of the favorite familiar suffering dominate you. A question arose about quieting the noisy Personality after a lengthy period of quiet. Eloheim suggested giving it something to do and also asking the mind what it’s really upset about. Don’t let favorite familiar suffering be your refuge anymore, said Eloheim. Live Awareness forward as often as you can. “The essence of this is you have one foot in Homo sapiens and one foot in Homo spiritus.” Right now, you can live Homo spiritus. You can start right now. We’re right here in it.